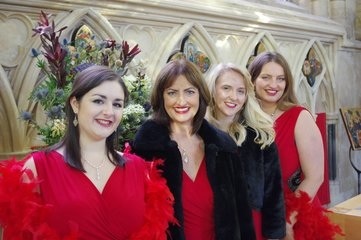 Lyrica singers will provide a stylish soundtrack for all your events. We sing Opera, Vintage Classical, Jazz & Swing music. You can book a wedding soloist or choir for your ceremony; a vocal trio or quartet of singers to create that “Beverley Sisters” sound for your vintage parties or receptions; choose an opera themed evening with our classical soloists, or just relax with our cool jazz trio and singer. We provide live musicians to accompany us, or sing to quality backings.